Celebrate all that is amazing. Venture into breathtaking. To unearth the unexpected. To touch, to taste and to discover. Experience the breadth of Australia with our iconic rail expeditions: The Ghan, Indian Pacific and the Overland. Explore the Whitsundays Islands and the Great Barrier Reef aboard Cruise Whitsundays. Wonder at Rottnest Island’s beauty and nature with Rottnest express in Western Australia. The best of life’s experiences are shared. Let us deliver a journey beyond. 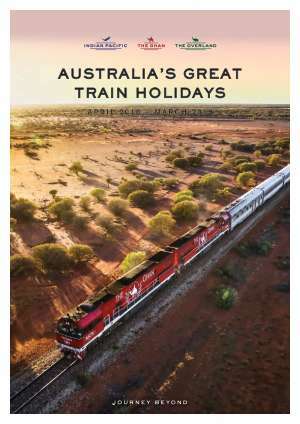 The Ghan is regarded as one of the world’s greatest rail journeys and a true national treasure. The Ghan has captivated travellers since its inaugural journey in 1929 and continues to be a top choice for travellers seeking authentic Australian adventure with all the comforts and luxury that come with travelling by rail. 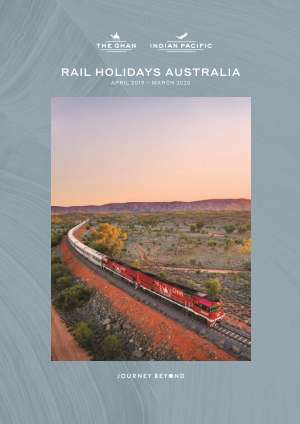 One of only a few truly transcontinental trains in the world, the Indian Pacific offers travellers an impressive and indulgent way to explore the vast beauty of Australia. From the Indian Ocean on the continent’s western shores to the Pacific on the east, guests journey in comfort into the rugged heart of Australia choosing from a selection of unforgettable Off Train excursions and watching Australia’s spectacular landscapes roll by. Award winning Cruise Whitsundays is the region’s largest and most experienced marine operator offering a range of day cruises and Island Resort connections. Cruises visit the Great Barrier Reef, Whitehaven Beach and islands, and the multi-award winning Reefsleep overnight experience is one of Australia’s most unique accommodation venues. ‘Resort Connections’ provide services between island resorts and the Whitsunday Coast, and connect the region’s airports arrivals and departures. Cruise Whitsundays also offer bespoke activities for the conference, incentive and Weddings market. Rottnest Express is the largest and most experienced cruise company operating daily year-round services from Perth and Fremantle to Rottnest Island and the Swan River. Rottnest Express offers an extensive range of both fully-escorted and self-guided day tour packages including complimentary morning transfers from hotels in Perth and Fremantle and a variety of on-island activities followed by an array of lunch options. Rottnest Island is home to some of the most spectacular white sandy beaches, secluded bays, unique wildlife including the famous Quokka, shipwrecks and a fascinating and colourful history. Our Visual Library provides a selection of videos and imagery that capture the Journey Beyond Group and its brands. For Trade queries or further information about our experiences and brands, please contact us below.